New Caledonia’s U-19 national team will test themselves against their senior counterparts this evening as part of their preparations for next month’s OFC U-19 Championship in Tahiti. Félix Tagawa has been enlisted to lead the U-19 through the competition, with the Hienghene Sport coach still deciding on the final 20 players ahead of the FIFA U-20 World Cup qualifying tournament. 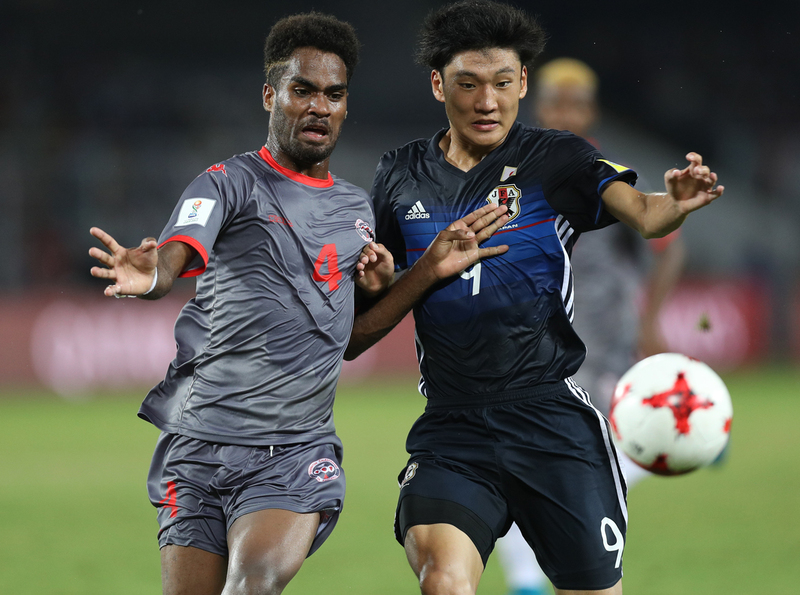 Having captured the imagination of the nation in 2017 when the U-17 team qualified for, and then impressed at, the FIFA U-17 World Cup in India, Tagawa is keen to see this side claim one of the two tickets on offer to Oceania teams and the two matches, the second coming next week, are an opportunity for one last bid from the players to cement their place in the squad. For the senior Cagous, coach Thierry Sardo believes these two matches are an opportunity to look at some new options both in the side he will field, and in their U-19 opponents. “Above all we’re here to help the U-19 national team with their preparations, we hope to see them achieve their objectives in Tahiti,” Sardo said. While the senior squad will feature some new names as Sardo makes the most of the opportunity, he’ll also call on regulars like captain Joel Wakanamune and Roy Kayara which will allow him to see how the side gels as a whole.